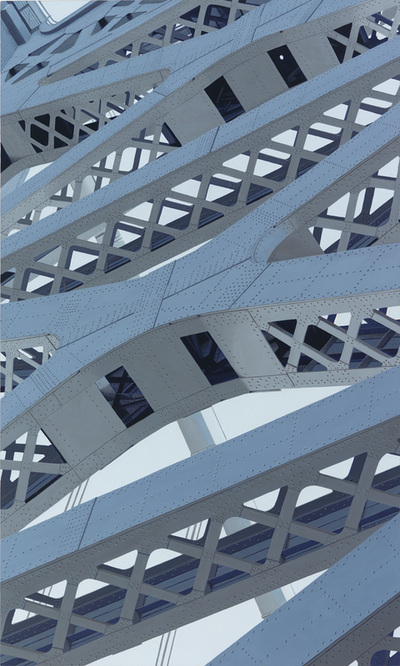 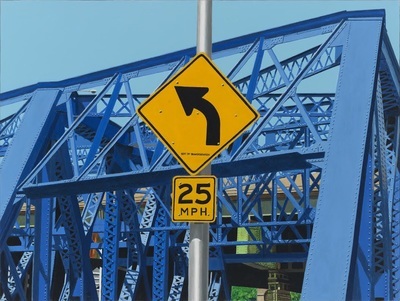 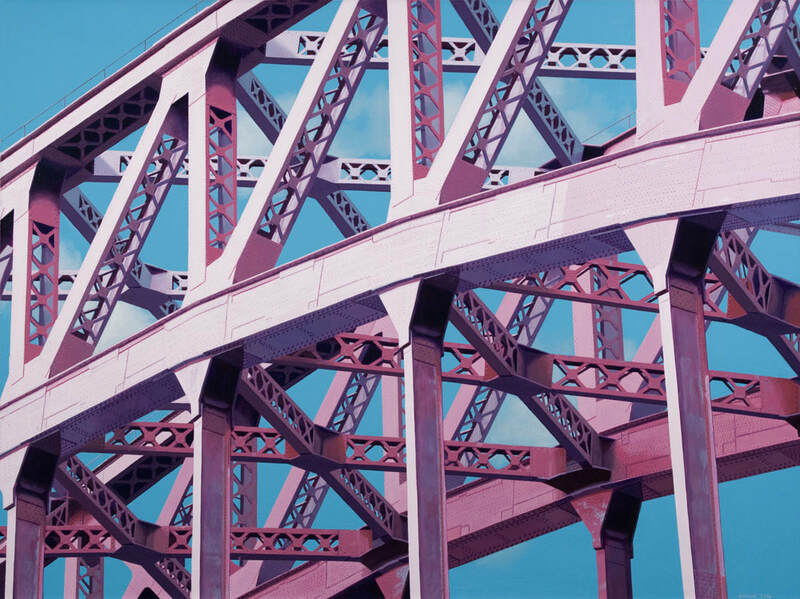 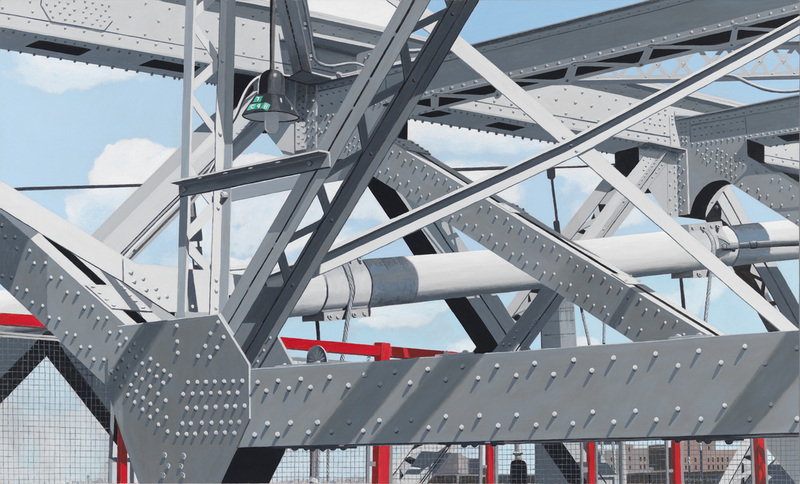 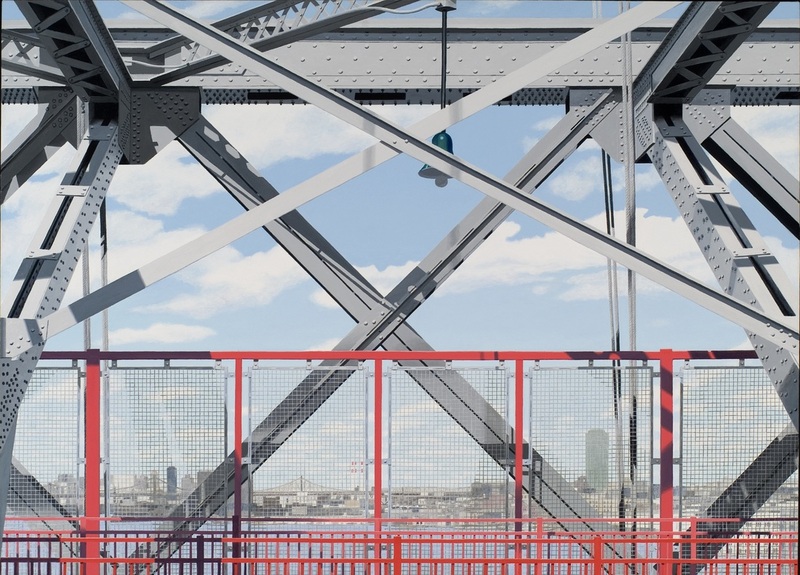 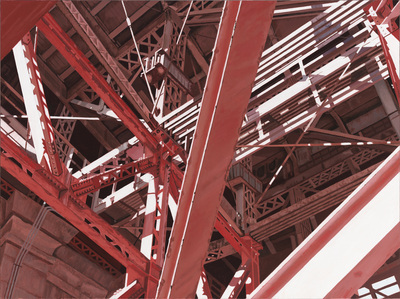 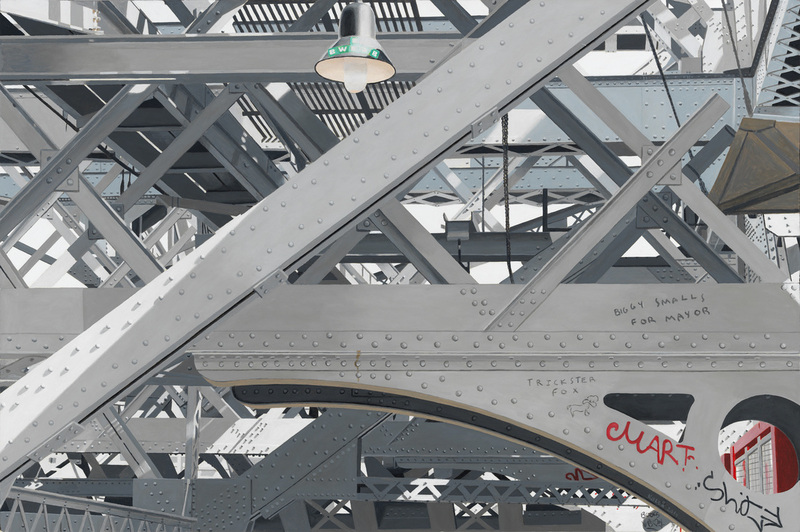 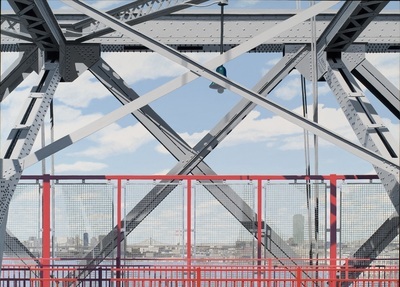 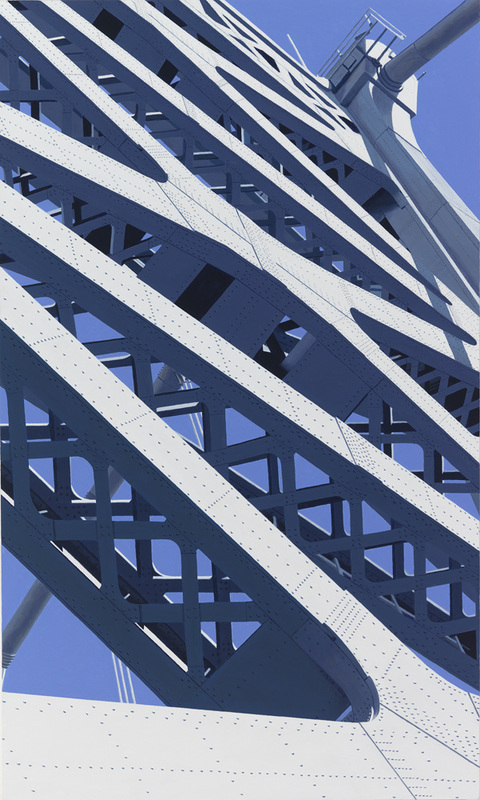 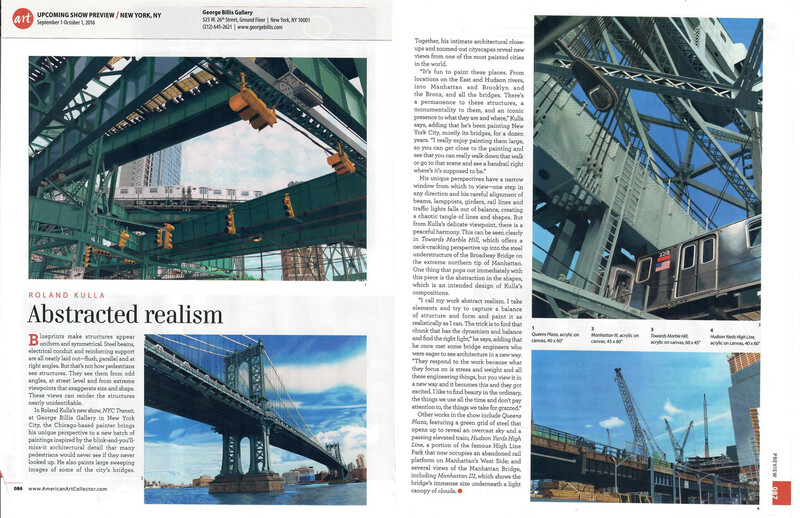 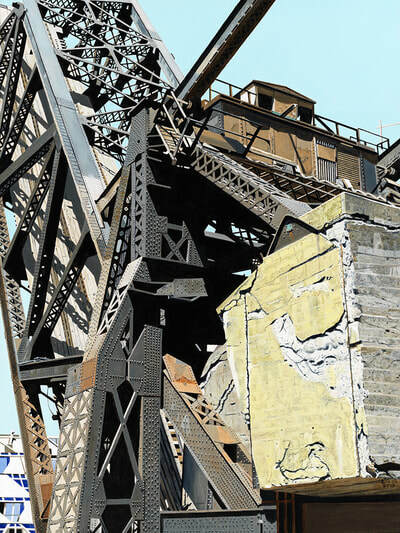 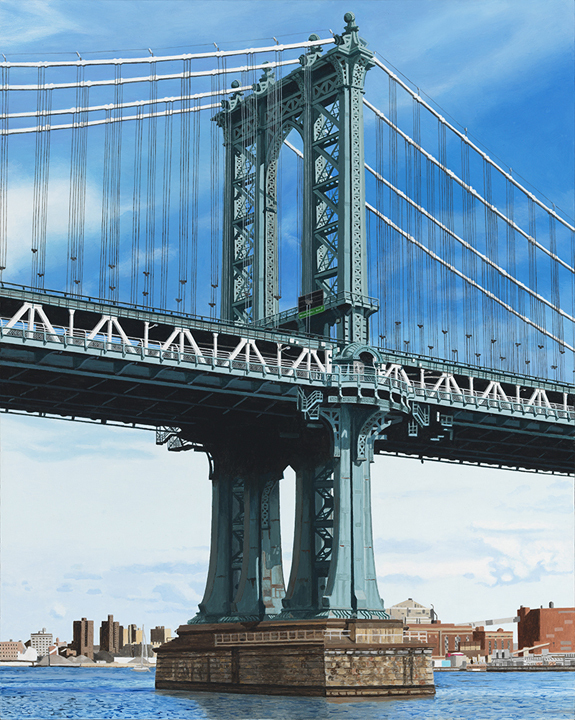 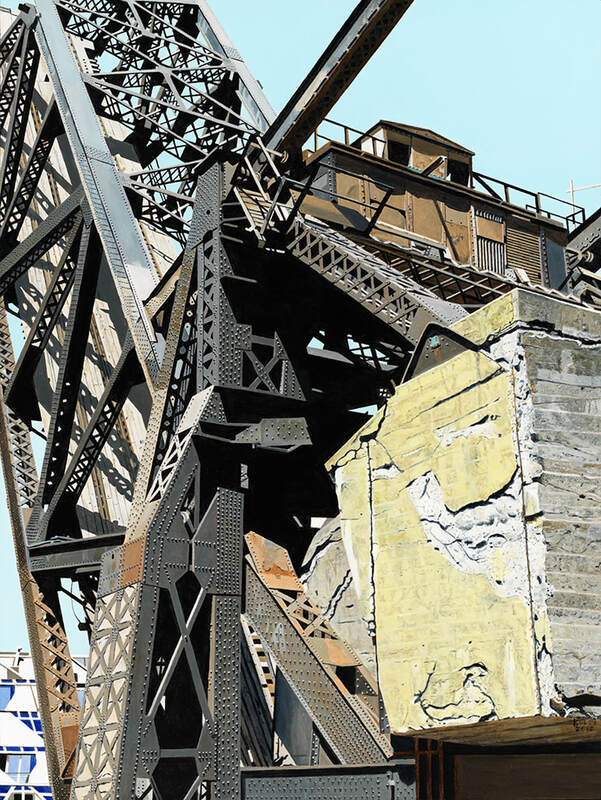 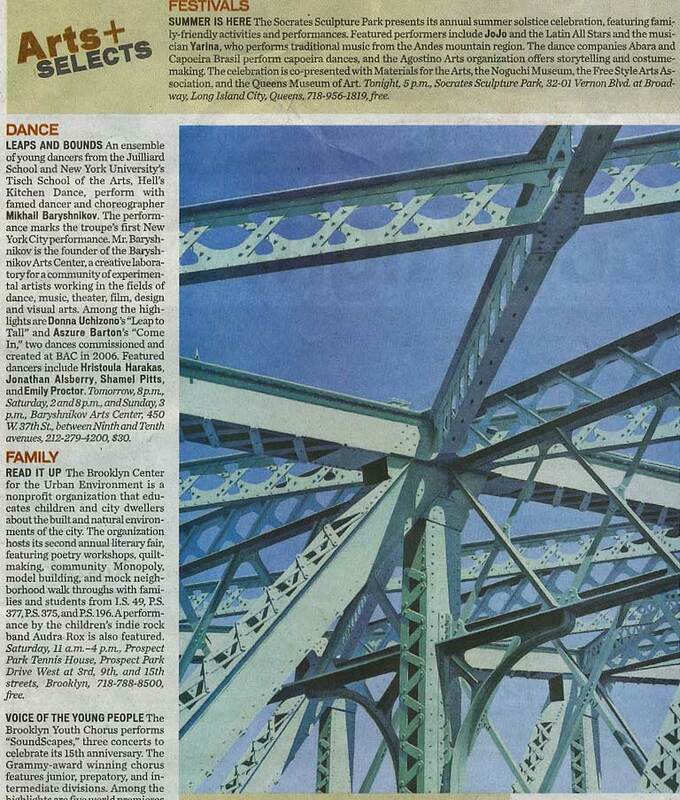 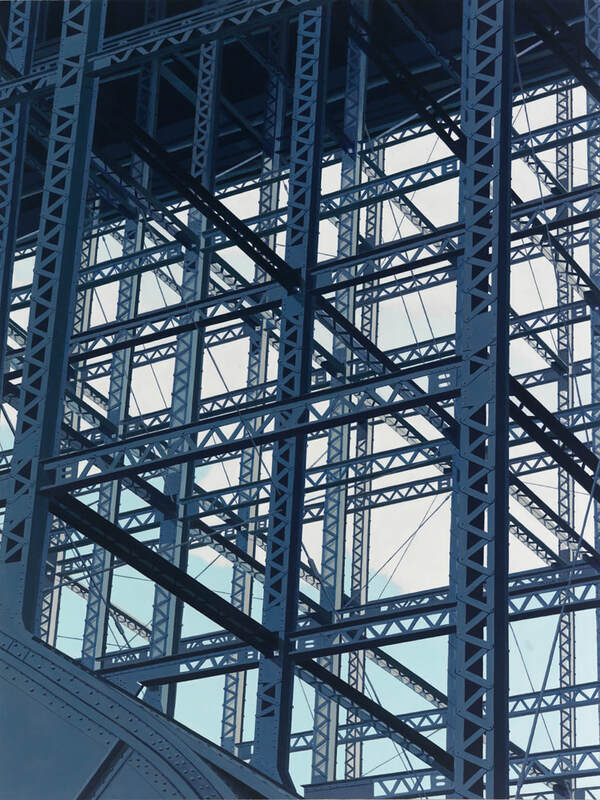 For the past dozen years or so I’ve focused on bridge elements by selecting portions of bridge structures and painting segments in a realist style. Previous shows at the Billis Gallery have featured New York area bridges using this approach that I call “abstract realism”. This show, New York City Transit, differs in several ways. First, I’ve expanded my focus to include different aspects of transportation in New York City. There are still plenty of bridges, in fact five different views of the Manhattan Bridge. 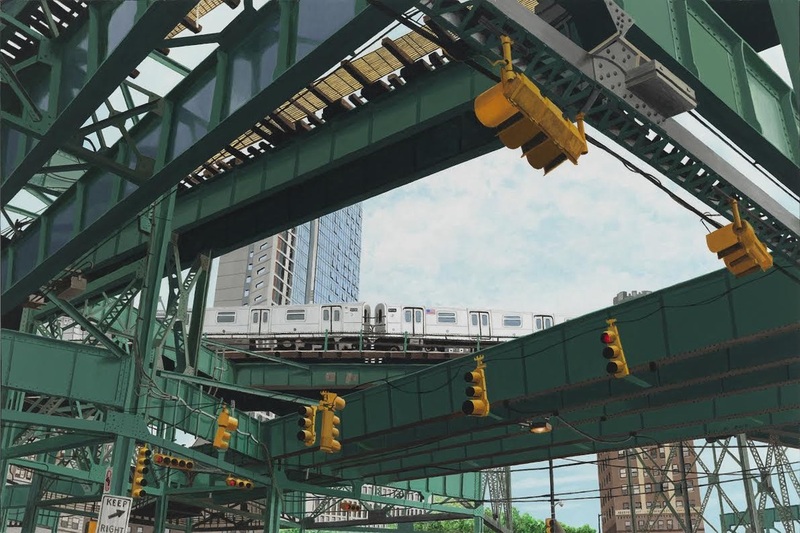 But I’ve added trains to the mix as well as the MTA. A number of the paintings include the interaction of trains and bridges. 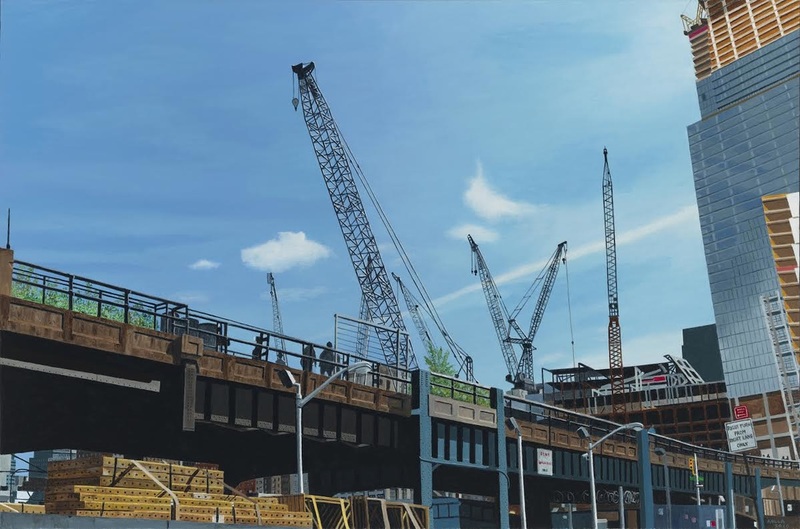 Pedestrians are given focus too in scenes from the High Line. 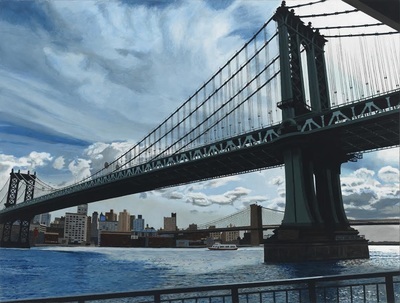 Second, not only has the subject matter expanded, many of the works provide a more panoramic treatment. 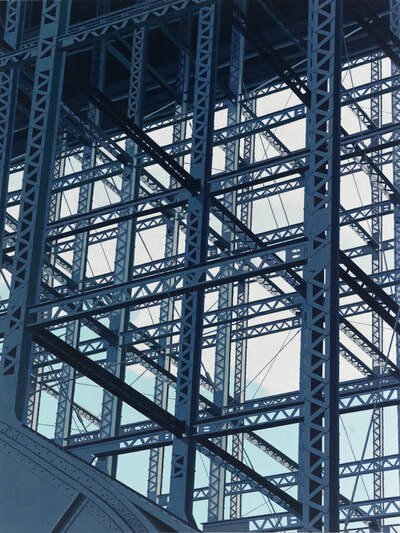 There are still some closely cropped subjects that are typical of my previous style. 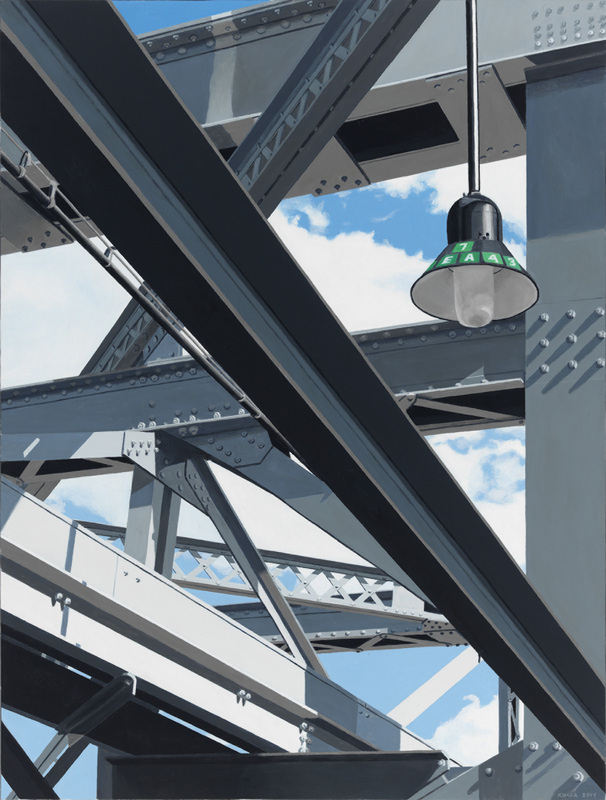 But in several works my view has widened to place the transit elements in their urban context. 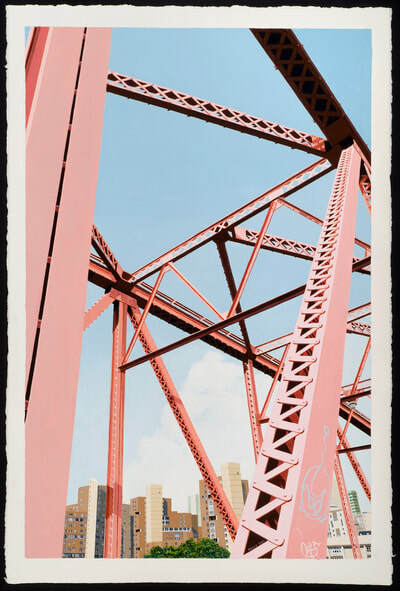 Third, the transitory aspects of nature are captured as well. 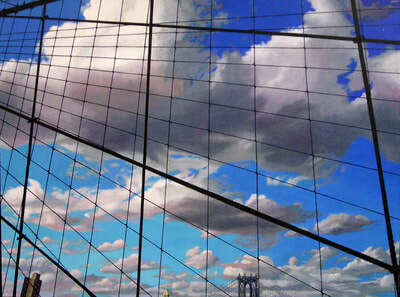 The atmospheric effects of sky and water and light and shade create dynamic contrasts to the fixed structures. 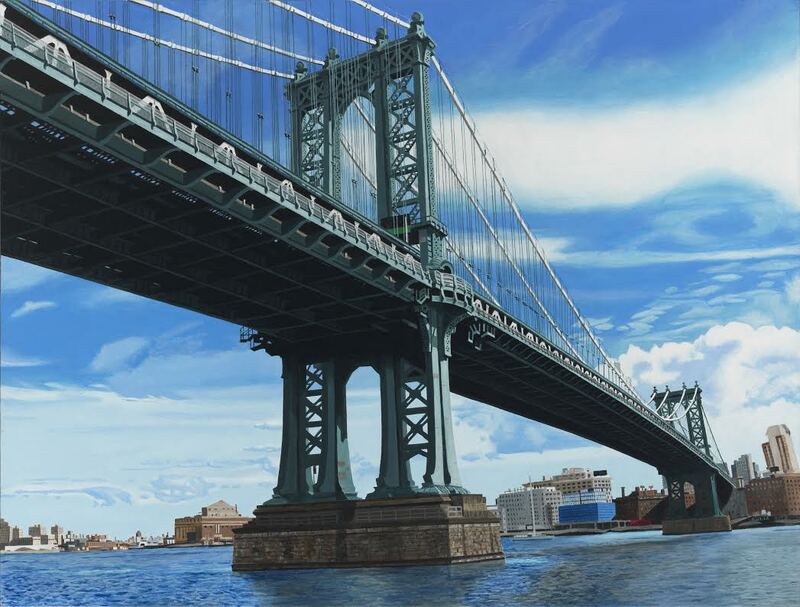 The bridges in particular leap across the water against dramatic skies. Taken as a whole, New York City Transit takes you from the details to the big picture. It also captures the dynamism of the man-made structures in their dramatic natural context.